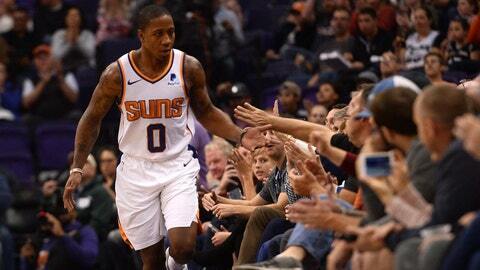 PHOENIX — The Phoenix Suns have waived guard Isaiah Canaan. Canaan appeared in 19 games, 15 as a starter at point guard this season, but his playing time diminished as Devin Booker took over the starting point guard spot lately. Canaan is in his eighth NBA season. He has played for Houston, Philadelphia, Chicago, Houston and Phoenix, averaging 8.4 points per game in his career. His season was cut short a year ago by a gruesome ankle injury. Phoenix did not make any corresponding roster move after waiving Canaan on Wednesday.